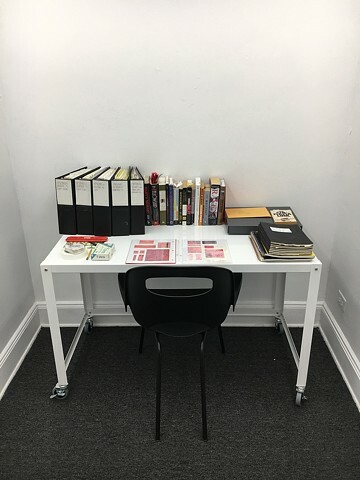 In December of 2016, The Stolbun Collection founder Seth Stolbun invited me to propose a curatorial project in response to Joseph Grigely’s stewardship of the Hans Ulrich Obrist archive at The School of the Art Institute Chicago. 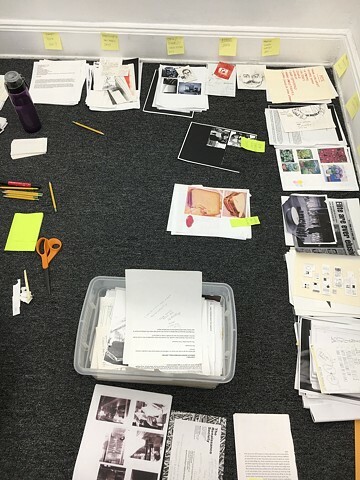 After discovering fertile connections between these archival projects and the text-driven, research-based work of Deb Sokolow, I asked the artist to work together on a contribution to arcade-archive. 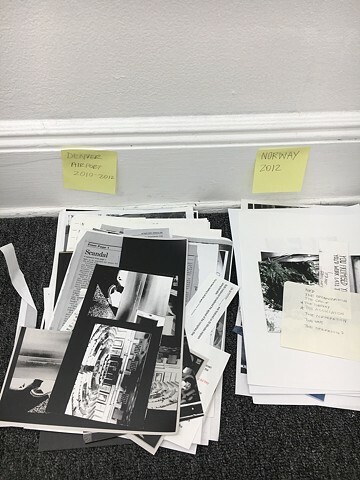 We will begin building the archive consisting of her realized, unrealized, incomplete and perhaps future projects on the evening of May Day 2017. Deb Sokolow’s text-and-image drawings are initially derived from a stage of laborious research focused on the lesser-known, usually comical and revealing, facts about the lives of influential individuals. For example, in past projects she has focused on the mind control tactics of cult leader Jim Jones, and prolific architect Frank Lloyd Wright’s alleged difficulties with secretaries. Her works on paper formally recall storyboards that incorporate material studies, meticulous architectural sketches, diagrams, portrait drawings and the strong presence of the artist’s hand-written block text. On Sokolow's pieces, the labor of editing, erasing and reworking the narrative is visible to the reader-viewer. 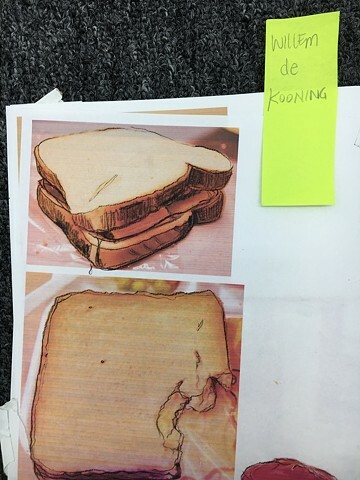 She writes on the collages of images and drawings, as well as within the margins. Since there are constant interjections and shifts in tone within the writing, the reader-viewer can never be too certain that it’s the artist’s voice driving the story. This tactic blurs fact and fiction to the degree that neither is discernible. 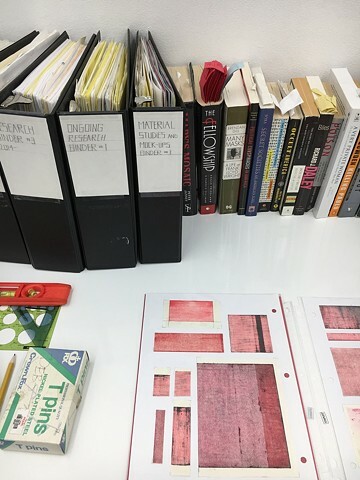 Here at The Stolbun Collection, Sokolow’s future parafictions are gathered, classified and given new potential lives in her archive. 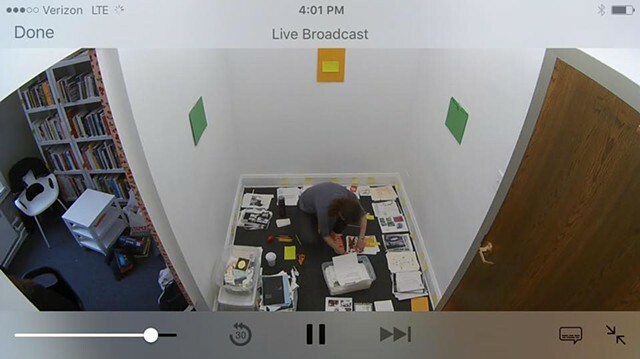 Beginning on May Day, we invite you to watch the labor of the taxonomic act live from the nest security cameras of The Stolbun Collection below. From May 6th through the 26th, The Stolbun Collection will be open by appointment only. Please contact us at debsokolowsworkarchives@gmail.com to book a guided tour of the project.